Every Sunday, Americans gather to watch football. Wherever you are, whatever else you do, the one thing we all (it seems) have in common is this Sunday ritual. When Dr. King called Sunday the most segregated day in America, he couldn't have imagined the unifying force football would become, dominating popular culture and conversation in a way few other forces could. In fact, of the 50 most popular programs last year, 90 percent of them were professional football games. Perhaps, in a world of DVRs and on-demand programming, football may be our last shared live event. We've found a variety of ways to enjoy our shared obsession, from tailgating to fantasy football. Over the last few seasons, a new way to enjoy football has come to dominate every commercial break, ESPN segment and preview article: daily fantasy sports. Daily fantasy sports, or DFS, is similar to fantasy football, but it's played on a weekly basis rather than being a season-long experience. It was also just declared "gambling" by the state of Nevada, which is an interesting development for the rest of the country. If you're curious about DFS, either because you might want to play or because you want to know what all of those commercials are about, this article explains what DFS is, why it's controversial, and outlines the potential pitfalls that come along with it. For fantasy football enthusiasts, DFS seems like a natural evolution. Traditional season-long fantasy football has some major issues. For instance, a single injury can ruin a season, no two leagues have the same rules, and the whole season can swing from a waiver wire pickup of a running back no one had heard of a week prior. Most of these issues are rectified by a universal scoring system and the one-week duration offered by the major DFS sites FanDuel.com and DraftKings.com. If your fantasy football season has gone awry for any of the reasons listed above, joining a DFS league can seem like a logical way to ease the pain. In addition, if your fantasy season is going great, DFS can seem like an appealing way to win some easy money. The controversial issue, of course, centers around money, because DFS currently exists in a legal gray area. While it may look like gambling, it emphasizes skill over luck, so it is not technically gambling. While the state of Nevada has ruled DFS as such, that doesn't change a whole lot, since gambling is legal in that state. Whether it's luck or skill that's the more important attribute, anyone who has played fantasy football knows that both are required for success, which is why this issue is so sensitive. For instance, if Cleveland's tight end catches a touchdown with his knees, that's worth a lot of points, but it is unlikely anyone who selected him had predicted such a play. Similarly, when the booth reviews a potential fumble at the goal line, it can be worth enough points to swing a matchup from victory to defeat - a touchdown is worth 6 more points than a fumble in most leagues, which is a substantial amount. That booth review can take several minutes to determine the result of a play that consisted of a split second or a few inches. At the same time, there is a lot of skill in determining which quarterback/receiver tandem will hook up for multiple scores or which defense is undervalued each week. Because of these random occurrences, fantasy sports is what economists and game theorists refer to as a "knapsack problem" because it considers each player - in effect - a weighted random number generator. 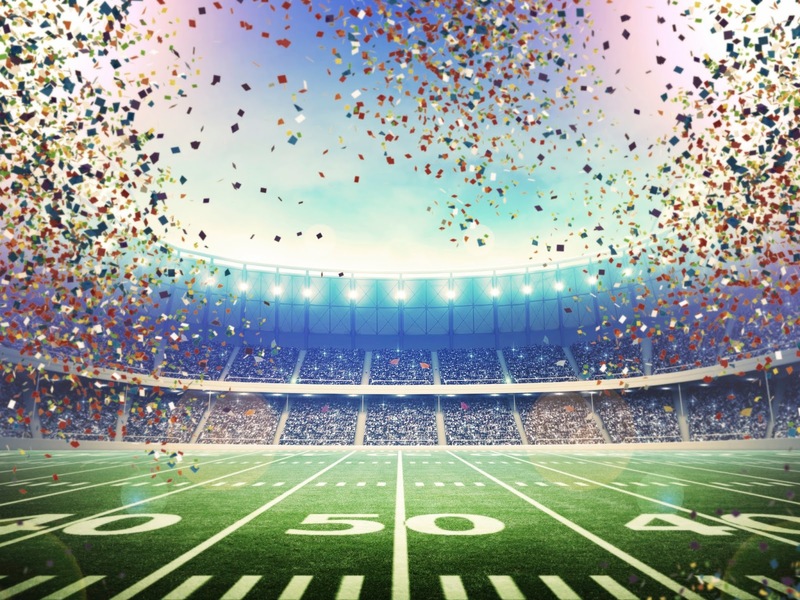 The MIT Sloan conference is dedicated to advanced analytical research into sports, and if you're the kind of person who watches football with a spreadsheet open you may believe skill outweighs luck. However, one of the most interesting things about fantasy football is that the more skilled players tend to think the game is driven by luck while the less skilled think it's driven by skill. Matthew Berry of ESPN, one of the biggest names in fantasy sports, has argued for years that fantasy players should view each player as a lottery ticket and collect as many as they can, while his colleague at ESPN, Tristan Cockroft, has created what he calls "Fantasy Consistency Ratings" to account for the random variance from week to week. 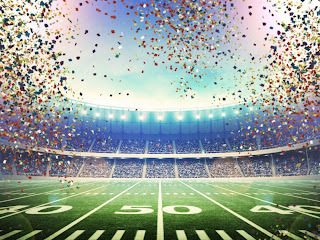 As we move into a new world of DFS, the issue remains whether the pursuit is more similar to free fantasy football leagues or sports gambling. Congress will have to decide, it appears. Powerful lobbying groups already exist to benefit DFS, so the sites may remain legal for longer than their online poker brethren. Before you spend $200 to get a "free" entry, however, it's a good idea to remember that even if DFS isn't gambling, it's still a way to spend money. It can make an otherwise dull football game between two lackluster teams into something more exciting, but it can also fall nicely into a perfectly legal space where powerful people profit by exploiting human addictions.